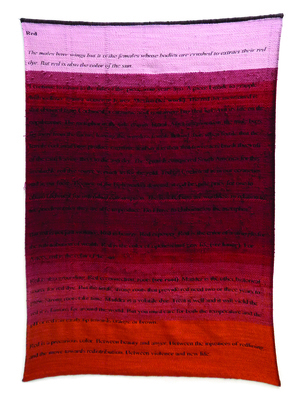 In the woven manifestations of this encyclopedia, pieces of cloth and sources of color become the foundation for a language. Fragments of thread become pathways into the entanglement of bodies as public and private, personal and political. 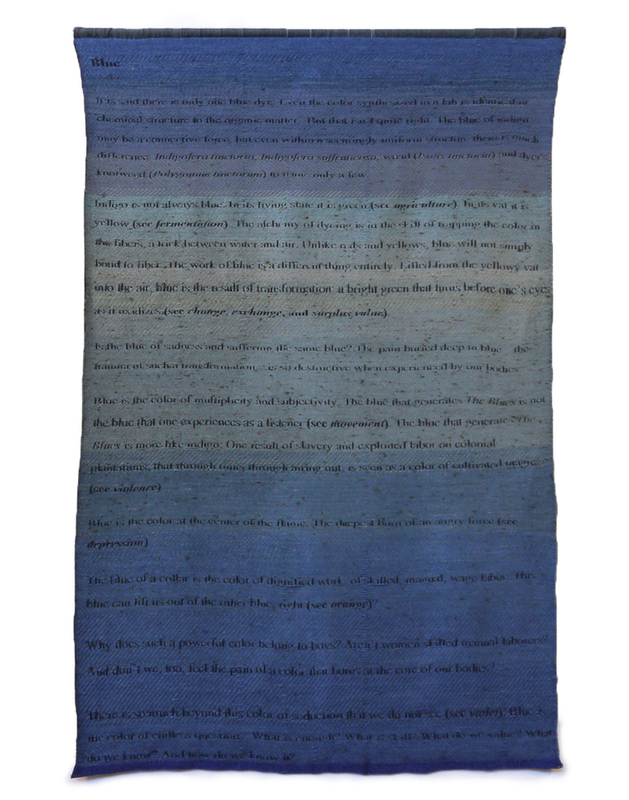 The entries Red, Yellow, and Blue materialize as cloth handwoven on a digital Jacquard loom. The threads from which they are composed were unraveled from utilitarian textiles or were the remains from other projects.